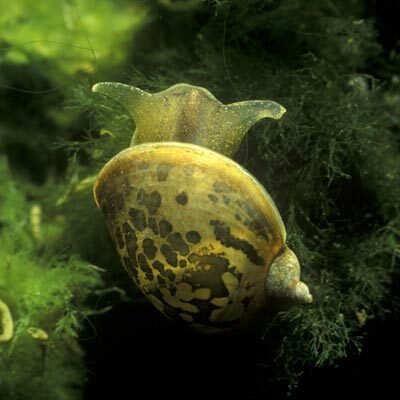 The prevailing form of the ear pond snail in Ireland (lagotis Schrank) is not very ear-shaped and rather similar to forms of Radix balthica, but has a sharper spire with deflected protoconch (seen in the angle which the shell makes with the animal body during movement) and a generally more expanded body whorl. Local in Ireland and uncommon. In Europe it occurs mainly in the milder central and western lowlands or in southern parts and thence across Siberia to east Asia. Distribution type: Eurasian Wide-temperate (65) and Southern-temperate (85). Sparsely distributed through the central plain and around Loughs Neagh and Erne. It has apparently declined recently in much of central Ireland (Byrne et al., 2009). Anderson, R., (2016). 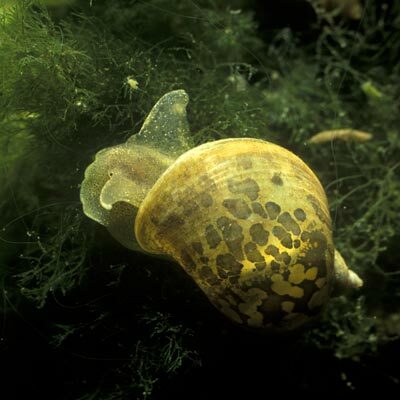 Radix auricularia (Linnaeus 1758). [In] MolluscIreland.